A few weeks ago I stumbled across one of the most amazing advertising premiums I've ever seen. Made in 1927, "McKee's Moving Puzzle" in its nondescript, 4 by 3 1/4 inch box holds a remarkable toy inside: a wooden furniture puzzle complete with some clever copywriting. 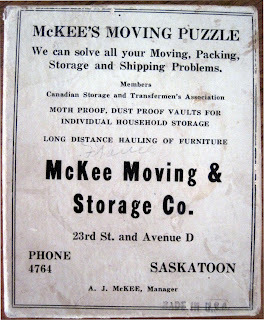 "We can solve all your moving, packing, storage, and shipping problems." "Moving is always a problem. Placing the furniture is frequently a puzzle...we can solve this puzzle, as well as your Moving, Storage, Packing or Shipping problems. Write for solution." 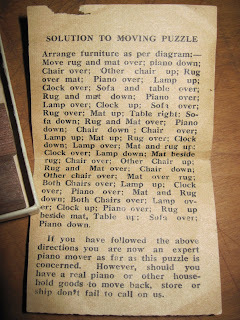 "If you have followed the above directions you are now an expert piano mover as far as this puzzle is concerned. 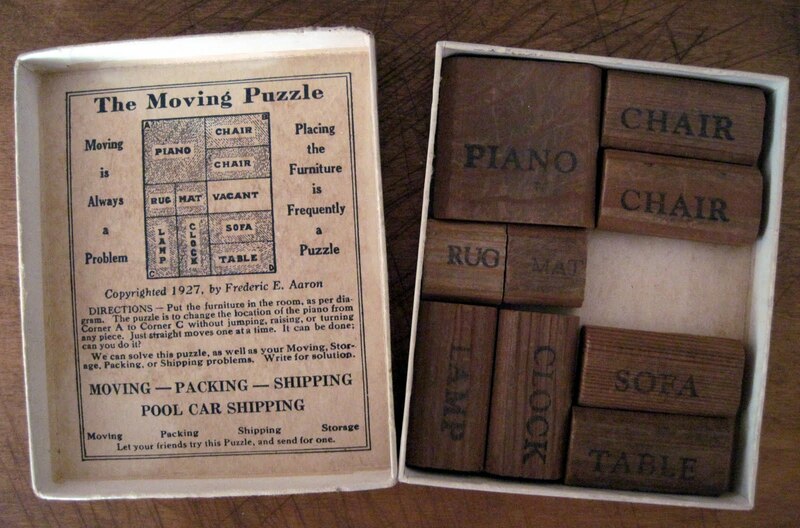 However, should you have a real piano or other household goods to move back, store, or ship don't fail to call on us." 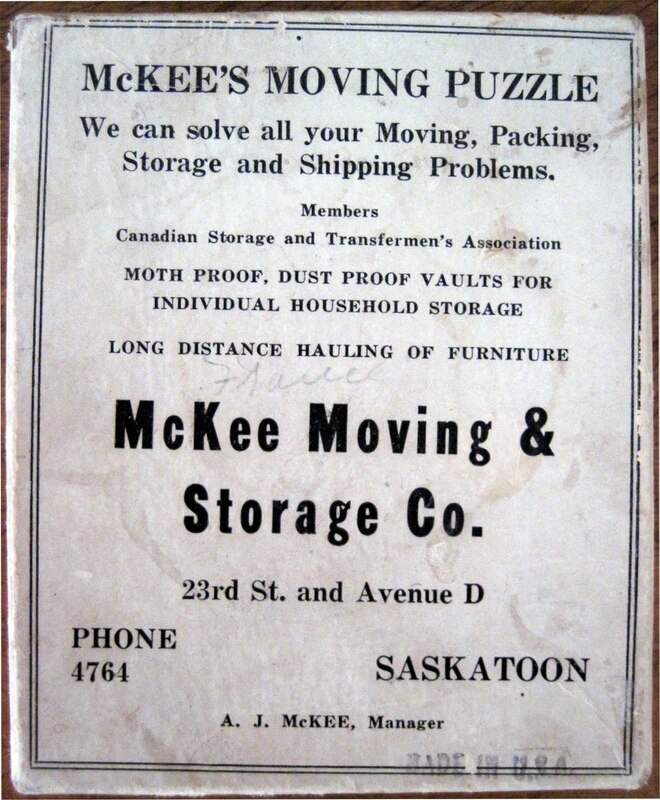 McKee's is apparently still in business, and if I lived in Saskatchewan, I would definitely hire them to move some of my furniture around, just to show my appreciation for this fantastic toy. 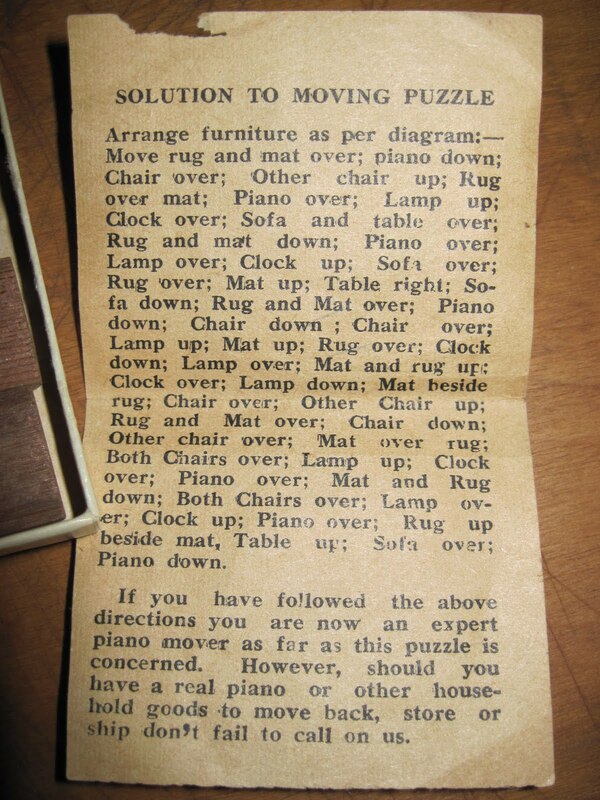 I have original pieces of this puzzle. Had to make a new box as cardboard rotted out in the jungle where I lived.